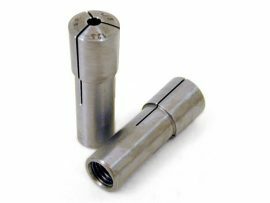 The Sherline Milling Machine makes an excellent precision drilling machine. 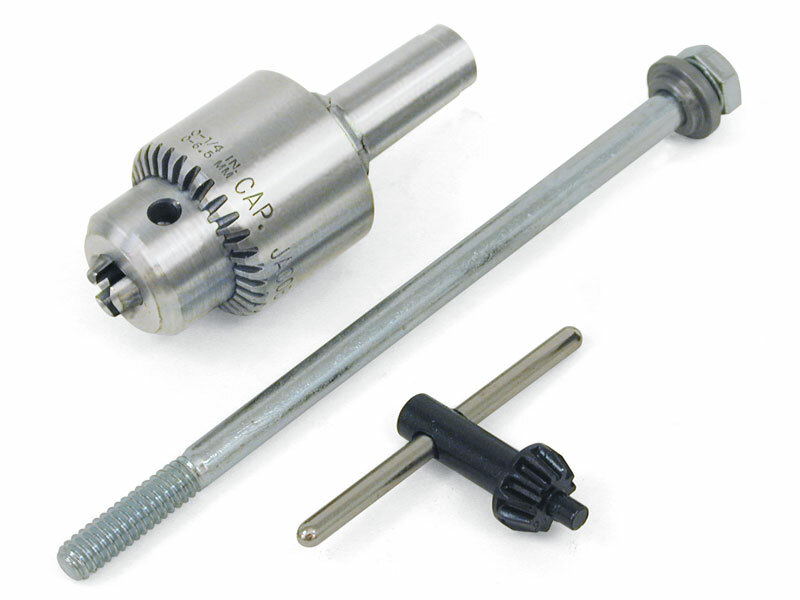 Accurate positioning of both the “X” and “Y” axes provide a simple way to locate holes, and, although the Sherline does not have a quill feed, the “Z” axis feed screw does give you micrometer accuracy for depth control. 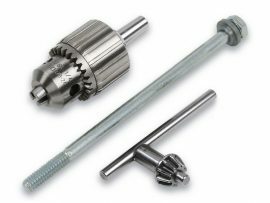 The drill chuck is similar to the tailstock chuck used with the lathe in that it is a 3/32″ (2.4 mm) to 1/4″ (6.35 mm) drill chuck mounted on a #1 morse arbor. The difference is that this arbor has been drilled and tapped for a drawbar. 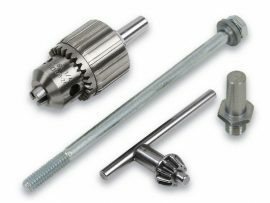 The drawbar prevents the arbor from working loose during use. NOTE: If runout of less than .003″ amount is required, collets should be used to hold the drill rather than a chuck. 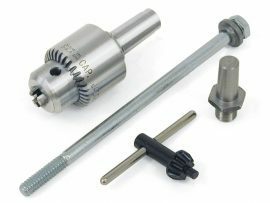 This chuck is NOT designed for lateral loads and should not be used for holding end mill cutters.